Travelers/Tourists may be one in destination but what makes it different is the journey on how to get there. 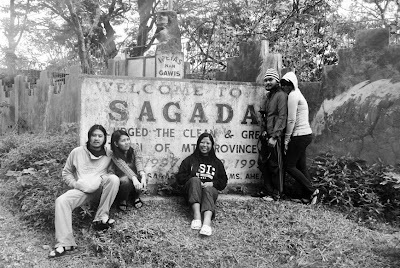 Here's my story on how I got in, around and out of Sagada. We were suppose to take another bus company but when my friend saw the bus, she had her doubts if we would be comfortable and would actually reach Bontoc, Mountain Province. So she looked for other options and we found Ohayami Bus bound to Banaue, Ifugao. Parked at Corner J. Fajardo, A.H. Lacson, Sampaloc, we left at 10 in the evening . 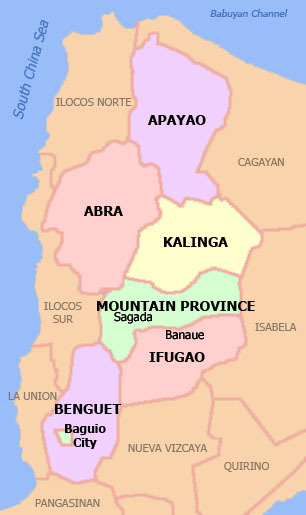 Our first stop was in San Miguel, Bulacan then we had several stops in Nueva Ecija and Viscaya. Our bus had a problem around 3am but was fixed in less than 30 minutes. I was lucky to have the front seat right behind the driver. Spacious and comfortable. The bus was just . . . too pink! 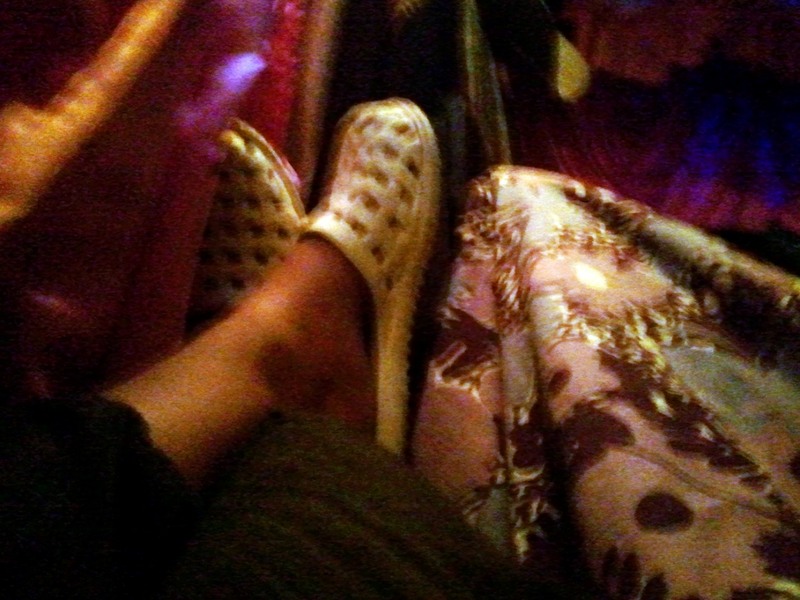 We had our feet up while sleeping to show how comfortable I was. The next jeepney trip was at 12pm or 1pm and we finished breakfast at 9am. We decided to rent a van sharing it with two other people who was going to Sagada too. First offer to us was PhP3500 but we had it down to PhP2700 because it was too costly for us as we were only 5 heads. Total travel hours from Banaue to Sagada was 3 hours. 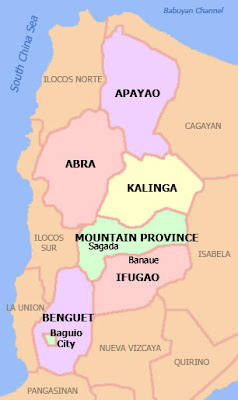 Should you need a van to go from Banaue to Sagada, contact this number 09103465310. The ride was comfortable and Kuya Joey, our driver would stop at viewpoints. 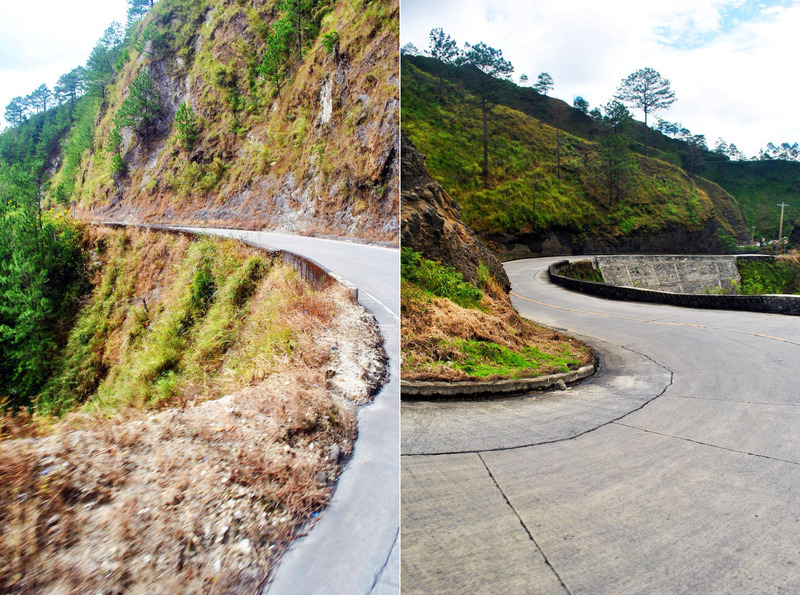 The roads via Banaue to Sagada is a bit scary. Most of the roads are still under construction. We had to wait for just 2 minutes because the roads are narrow and DILG is working. Foggy. Clouds are way too low. Drivers must be familiar with the road. Zero visibility. The advantage of hiring a van is you get to stop at viewpoints. . . .
We passed by a group who had a flat tire. Going up to Sagada, our back door opened and the spare tire fell. Poor Kuya Joey. In Sagada, you have two options in getting to the tourist spots. You either rent a jeepney/van or walk. I have been wanting to try this so I sat at the top of the jeepney when we went to town. At first, it was just me at the top, then these two korean teachers hitched and joined me . Then our two other friends. Lots of walking. Make sure you have the right footwear. I did not have one. Taken after going to Bokong Falls, But I had super FUN. 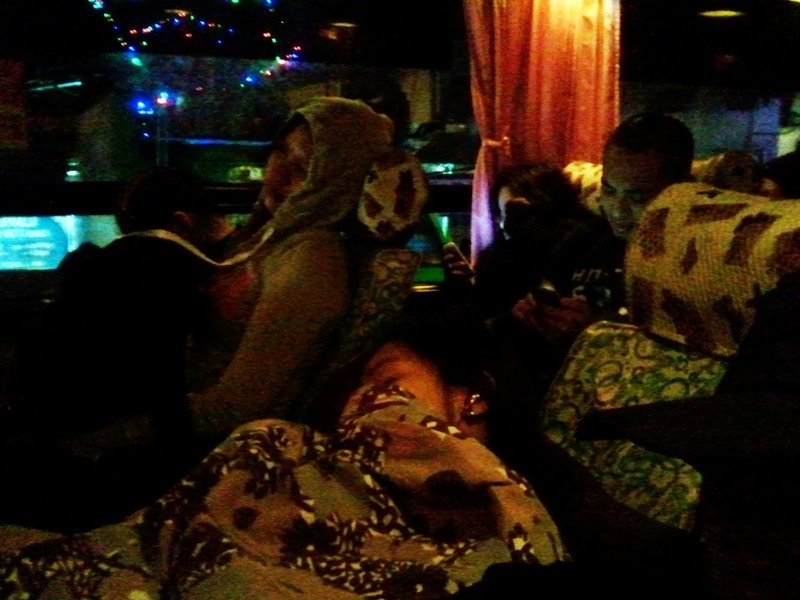 On our way back to Manila, we took GL Trans going to Baguio. They have schedules so make sure you make it. Roads are nicer but still narrow. There are parts under construction. This is a super nice adventure! Let's do a long travel in a bus! I haven't experienced that. :D - Apple C.
Let's plan. I want to take the train going to Bicol. Yup! Yup! Train muna! :D - Apple C.